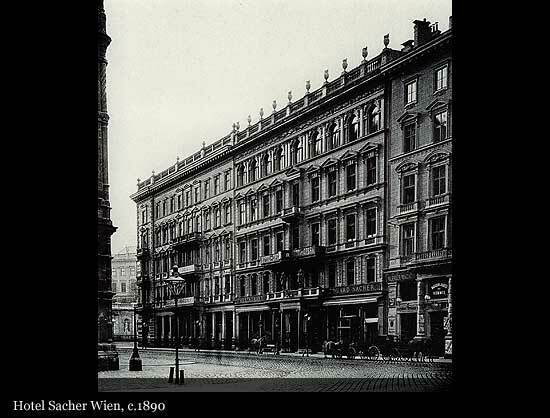 In 1876, the Hotel Sacher was established by Eduard Sacher, son of the creator of the Original Sacher-Torte, a unique chocolate cake with a thin layer of apricot jam. 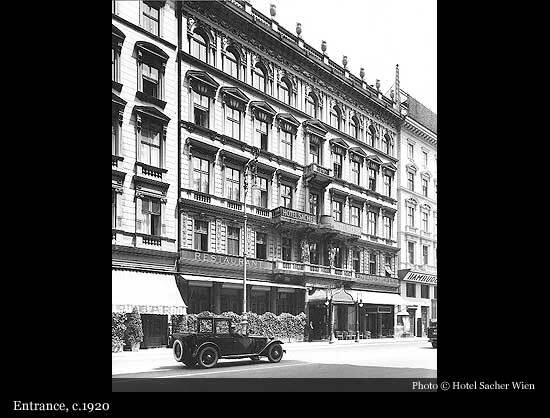 In 1880, Eduard’s 21-year old wife took over the hotel and established its noble reputation. 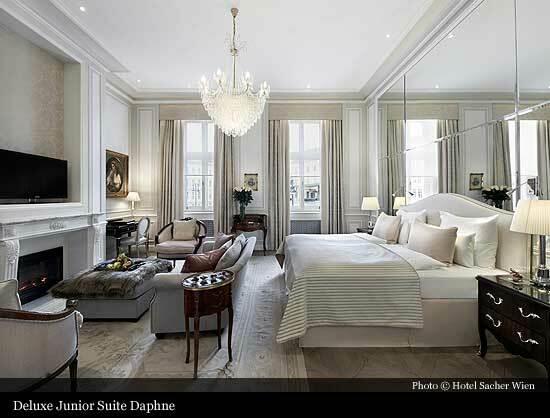 “I am the Master in the house,” the Grande Dame of the Sacher-dynasty is known to have said. She loved cigars and little dogs; some say she owned several hundreds of them! 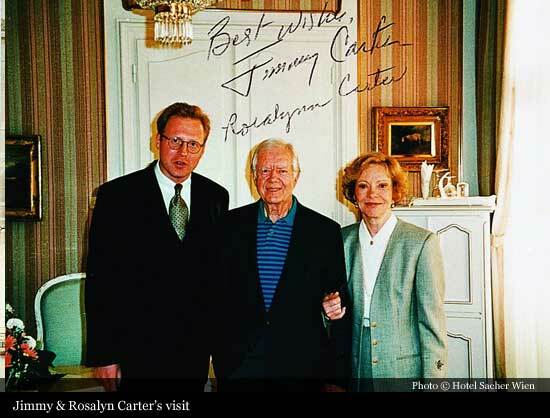 Since 1934, the hotel has been run by the Gürtler family. 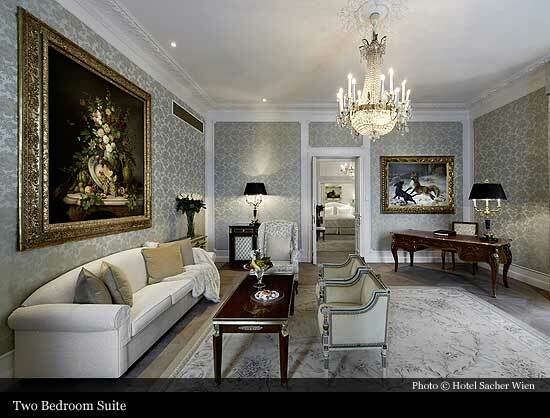 They are dedicated to maintaining the tradition of the world-famous hotel. In the spirit of tradition, two women are running the 5-star hotels, Elisabeth Gürtler and Alexandra Winkler. They are putting a lot of love and effort into the business. 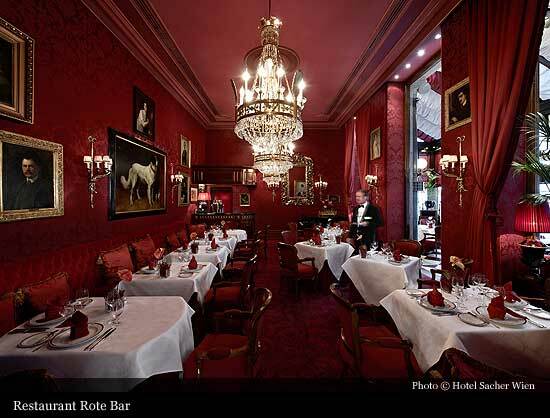 Throughout its existence, the Sacher has been a popular meeting point for the aristocracy, politicians, business people and artists. Its guest book has been signed by celebrities such as the Prince of Monaco and his wife Gracia Patricia, Indira Gandhi, Queen Elisabeth II and John F. Kennedy. Artists, such as Leonard Bernstein, Herbert von Karajan or Marcel Prawy have also been frequent guests. 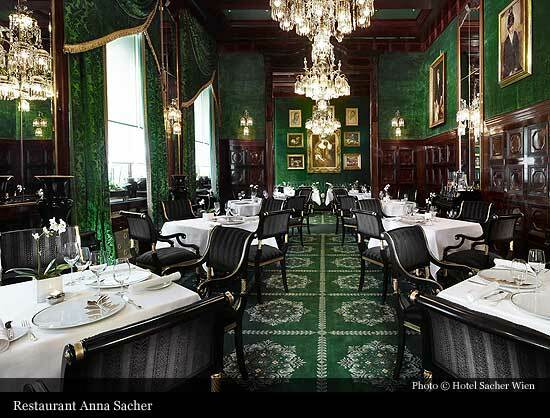 The glamour of the hotel attracts today, as in the past, numerous prominent and important personalities into the Hotel Sacher. Hotel enjoys a great deal of popularity during state visits and audiences. 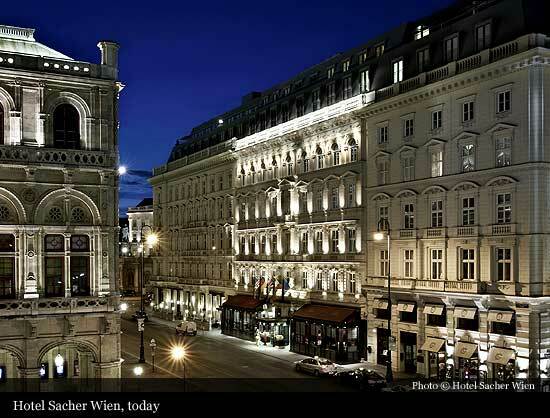 Proximity to the Vienna Opera House regularly attracts "VIPs" into the Sacher. Anna Sacher, the legendary first Manager of the hotel requested any particularly prominent guest to sign the tablecloth in the reception and begin with this a tradition which is continued even today. Since the 19th century, four tablecloths have been filled, densely signed and embroidered with interesting names. 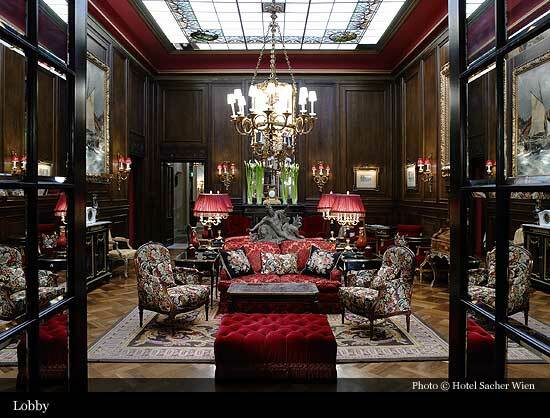 They are carefully treasured in the Hotel Sacher. 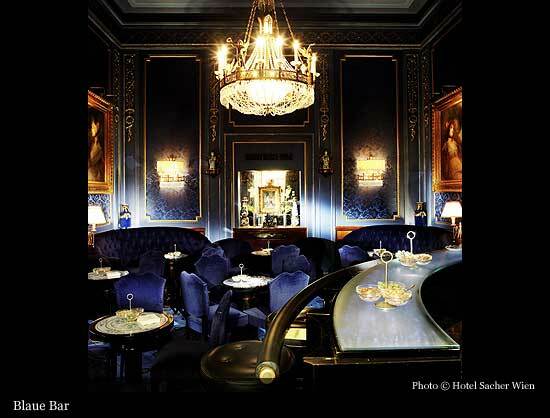 It was not, however, just the charm and luxury alone that built up the Sacher’s international reputation. 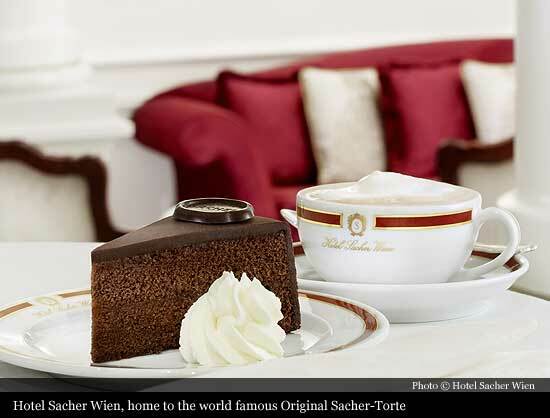 The Original Sacher-Torte actually became the world’s most famous chocolate cake. In fact, the cake is fifty years older than the hotel! The story of the legendary chocolate cake filled with apricot jam began in 1832. Franz Sacher was a 16-year old apprentice at the court of Prince Metternich when he was asked to create an especially delicious desert for distinguished guests. The guests loved it, and it became known as the Sacher-Torte. Today, the Sacher-Torte is exported throughout the world. Every single cake is hand-made according to Franz’s original recipe, which is a well-kept Sacher secret. 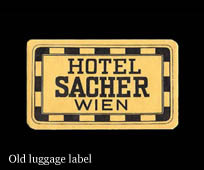 Hotel Sacher was used as a filming location many times, while Graham Greene gets the idea and writes the first lines of his "Third Man" during his stay at the Sacher.